It is better to be up-slope than down-slope. Jimi Yamaichi takes us to the remains of Block 73’s mens latrine. This building had a mens’ latrine, a shower, another shower and a women’s latrine separated by boiler rooms. There were no stalls for privacy in the men’s latrine. Toilet paper was an issue and internees helped those who were not carrying their own toilet paper by tossing them their roll. We also learn the advantages of being up-slope while cleaning and brushing teeth. Tooth paste, coming in lead tubes, was not common. 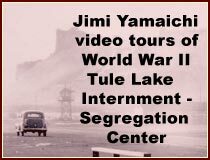 Jimi Yamaichi is standing at the remains of an Tule Lake Internment – Segregation Center latrine. 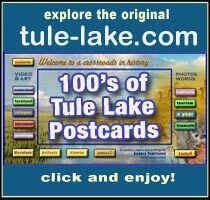 He discusses the lard soap that was made at camp and how internees brushed their teeth. Depending on how much money they had they used tooth powder, baking soda or salt that one would get at the mess hall. Tooth paste, as we know it, was not common because they came in lead tubes. Athlete foot was a camp problem. Jimi Yamaichi is standing in what was a feet disinfector pan. One would step in the pan coming and going from the concrete shower floors. Athlete foot was a camp problem. Internees made clogs out of 2 x 4’s so their feet would never touch the ground. Jimi mentions that the internees had coal heating and the army has oil heat. He walks from the mens’ shower room to the woman’s side of the shared latrine building. ©2013 Anders Tomlinson and Jimi Yamiachi, all rights reserved.